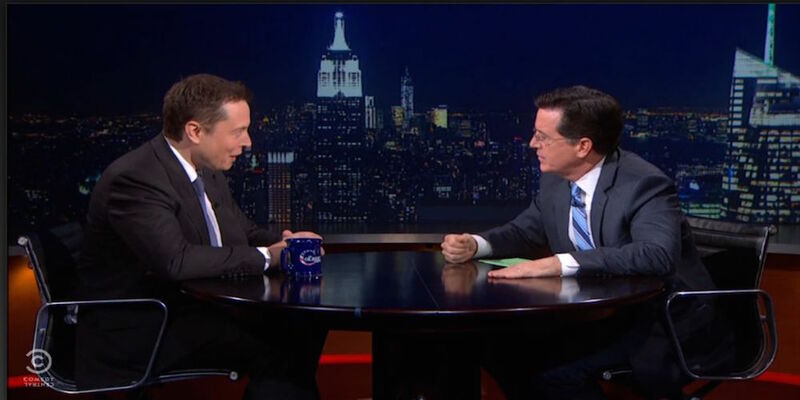 Tesla CEO Elon Musk went on Stephen Colbert’s Late Show last night for a quick interview about his ongoing projects. 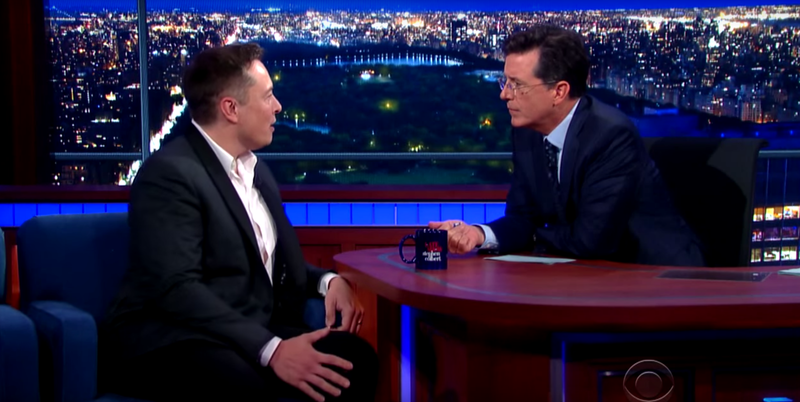 Musk didn’t reveal any new information about Tesla or SpaceX, but he did talk about how we could terraform Mars – hint: it involves dropping nuclear weapons on the poles – and he also talked a little about Tesla’s robot charging station. 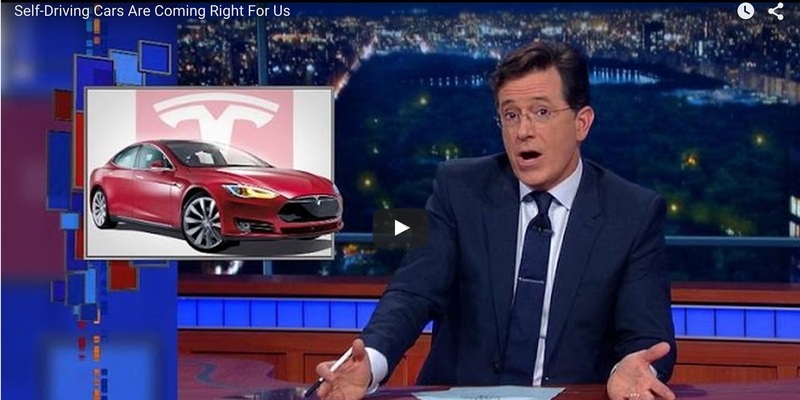 Unfortunately we didn’t learn much new about the cars but we did get to see what the Tesla CEO drives [hint: It is the same vehicle as Colbert] and his security detail after the show.